NCHS proudly maintains a “mission of excellence” in academics, athletics, and technology. Besides the recommended courses available to students for graduation, NCHS offers additional programs for students wishing to excel, including advanced placement courses, dual credit, texas scholars, and a competitive athletic program. 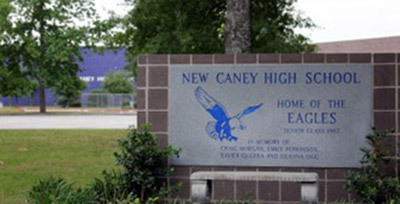 The New Caney High School Eagle University program gives juniors and seniors the opportunity to enroll in Dual Credit and Advance Placement courses that award college credit while earning their high school diploma. These students are given special privileges including special trips to universities and other activities involving cooperation from local colleges and universities. Their Career & Technology Education program prepares students for employment immediately after high school or while attending college by immersing them in specific industries outside the general course load. Courses are open to all students and are encouraged to empower students as leaders in the workforce.